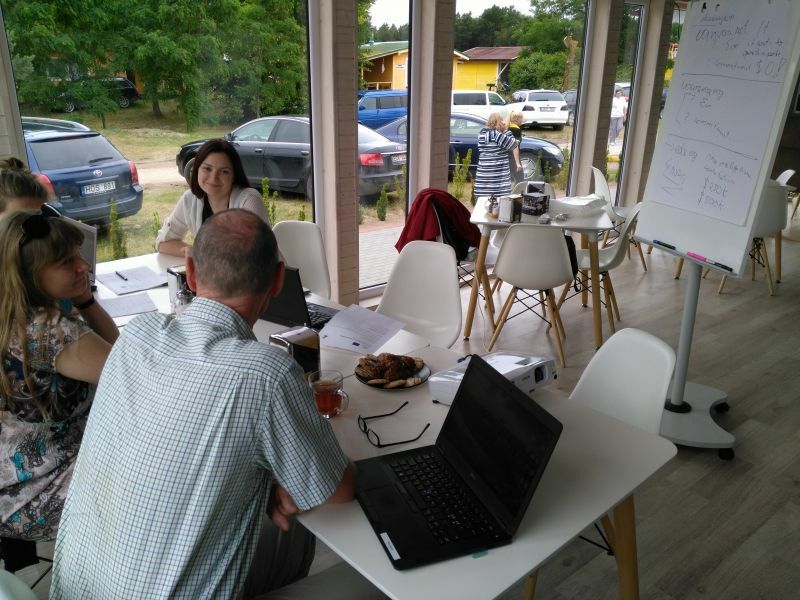 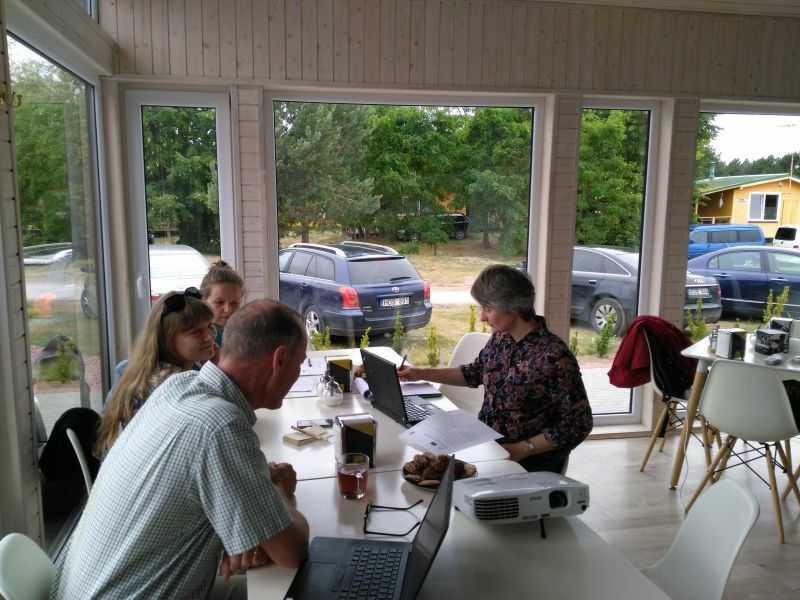 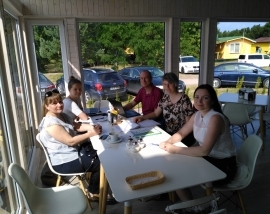 The second FOCUS group meeting (this time only eMentoring group meeting) took place in 11-12, July, 2017 at Relax Park, Sventoji, Lithuania. 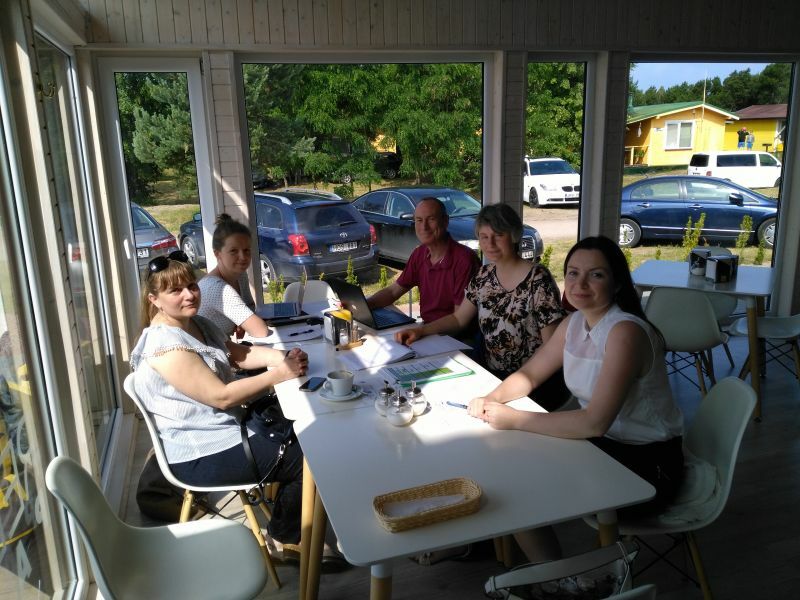 Among participants were Katarzyna Sutryk (University of Gdansk), Dalia Baziuke (Klaipeda University), Ilona Rupsiene (Lithuania Business University of Applied Sciences), Natalija Juščenko (Klaipeda University), Alastair Creelman (Linnaeus University). The main aim of the meeting was to discuss the e-learning tools used in study process by universities and to analyse different MOOC (Massive Open Online Courses) platforms. 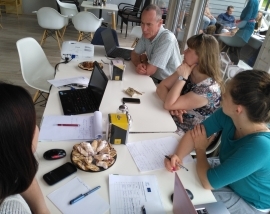 The one of the project FOCUS outputs (deliverables) are Online courses on Marine Biotechnology and Maritime/Coastal Tourism subjects; and to choose the most applicable MOOC platform is very important for the ensuring the quality and practical approach of the courses. 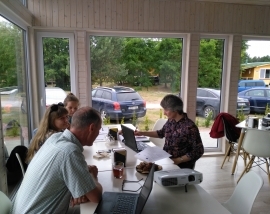 During the meeting the following questions were discussed - how to involve the participants into the course, how to ensure group dynamics, which ice breaking activities can be used to make the online group willing to communicate, how to increase responsiveness to the tasks; how to deal with different cultural issues, academic rules and online behaviour. 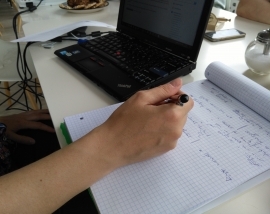 For the wide dissemination and for the making the access more easy and learning process more applicable to participants, the world wide famous MOOC platforms such as a canvas.net, openlearning.com, eliademy.com were taken in to consideration. 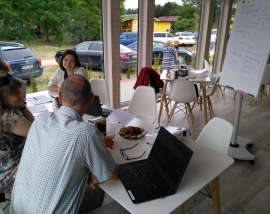 The final decision will be made during the next projects partner meeting on 12-13 September, in Sopot, Poland.